So when does Windows XP actually die?! I think it is fair to say that unless someone switched your internet off a year ago, we all know that Windows XP’s days are numbered. The original plan by Microsoft was to end all support for this rather old, but much loved operating system on 8th April 2014. Which although the operating system would still work you would have to be a brave individual to plug it into the internet. It was reported last year that Windows XP hacks were already changing hands for around £1,500. So that was that, Windows XP c’est fin, no more software updates and more importantly no more security updates or patches. Microsoft has announced the Windows XP end of support date of April 8, 2014. After this date, Windows XP will no longer be a supported operating system*. To help organizations complete their migrations, Microsoft will continue to provide updates to our antimalware signatures and engine for Windows XP users through July 14, 2015. This does not affect the end-of-support date of Windows XP, or the supportability of Windows XP for other Microsoft products, which deliver and apply those signatures. For enterprise customers, this applies to System Center Endpoint Protection, Forefront Client Security, Forefront Endpoint Protection and Windows Intune running on Windows XP. For consumers, this applies to Microsoft Security Essentials. Our research shows that the effectiveness of antimalware solutions on out-of-support operating systems is limited. Running a well-protected solution starts with using modern software and hardware designed to help protect against today’s threat landscape. Our goal is to provide great antimalware solutions for our consumer and business customers. We will continue to work with our customers and partners in doing so, and help our customers complete their migrations as Windows XP end of life approaches. Now I ready this through a few times and pondered over a few drinks as to what sort of species an antimalware was! On the 8th April 2014 XP machines will no longer receive updates including security fixes and hot-fixes. On the 14th July 2015 all XP malware support and updates will cease. So in reality this Microsoft missive has caused a lot of confusion and not really changed a lot, except that your unsupported XP machine will be a little safer against malware. The reality is if you are still running XP I would still suggest that moving to something else before the 8th April 2014 would be the safest bet. Last week a quietly released report by the Communications-Electronics Security Group (GCHQ’s information security arm) announcing that that Ubuntu 12.04 was the most secure operating system tested (this included Google’s Android, Apple’s Mac OS X and Microsoft’s Windows 7, 8 and RT). Obviously this is great news for us as Ubuntu 12.04 is our chosen operating system and the backbone of our business. So why is Ubuntu more secure than Windows? It all boils down to the way Linux (the family of Operating Systems, Ubuntu belongs to) works and is structured. There are several critical differences between the two systems. Firstly its all about privileges, in a the typical small business set-up the machine user has administrator rights which in Windows means that user can modify or delete any file on the system, consequently so can any virus! Whereas in Linux even as an administrator you cannot compromise the system files, consequently if you did suffer a viral attack it would only effect your files rather than the system files, making the difference between a major disaster and slight annoyance and restoring your backed up data. On the subject of viruses, these are most commonly spread though email attachments which when opened cause chaos. Whereas for this to happen in a Ubuntu machine the user would have to save the attachment, change its permissions to executable and then try and run the file, which is pretty unlikely to happen. But people being people, there are viruses for Linux machines, these are much rarer than Windows ones, but nonetheless they do exist, that said these can be protected against with relative ease, and as I said earlier there are any reported viruses which can effect your system files. Of course open source software being what it is there is a free anti-virus package for Linux called ClamAV which we include within our bundle of software, as well as a graphical front-end for it. In addition to which we also provide a graphical frontend for preinstalled Ubuntu firewall, between these two tools you are already reducing the risks to your security. Finally and probably the most importantly keep up-to-date with the software updates, Ubuntu will helpfully let you know when updates are needed you just need to keep on top of them. Unlike some of the Windows updates these are generally fairly small files and wont build up on your system slowing it down. If you do want to keep system tidy and clean use the Ubuntu Tweak Janitor tool (which we include) to tidy up your system files and remove any unnecessary files. One of the questions we are often asked about is accounts, whether we love them or hate them accountants and accounts are vital part of business life, and of course most people are familiar with accounts packages that run on Windows, can these run in Linux? To start with many small businesses run well in the early days using spreadsheets, which can easily be done in the free equivalent of MS Office, LibreOffice. LibreOffice’s spreadsheet “Calc” is extremely similar to Excel, and you can use it to open, edit and save all your Excel spreadsheets. However, if you are looking for full on accounts package, then most small businesses seem to favour QuickBooks, which of course is now encouraging its customers to use QuickBooks Online which will run through your browser. By doing this QuickBooks have eliminated the need for different versions for different operating systems, an online browser package, will run on Linux, Macs, Chrome, and even Windows! However, if you are looking for a Free and Open Source solution to your accounting needs then we recommend (and use) GnuCash Finance Manager, this is a powerful and free package which allows you to manage your accounts, raise invoices, record payments and so forth. It also comes preloaded with numerous reports such as profit and loss statements and cash flows. So with these options, there seems to be little reason to stick with Windows just for your accounts package! And of course don’t forget that even if you do want a Windows machine for your accounts, it can still talk to the rest of the Linux machines in your office, yes we can do that! Happy New Year, 2014 a year of change? So what does 2014 have in store? 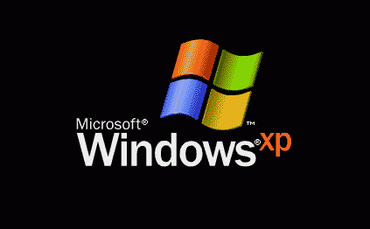 Well Windows XP support ends in 95 days time and many businesses have yet to decide what to do. Most are just going to take the financial hit of upgrading hardware and software to Windows 7 or 8, despite the negative reviews around the Windows 8 interface. Interestingly there is a growing awareness of Linux, especially Ubuntu as an alternative operating system, even PC World magazine has been writing articles suggesting Ubuntu as an alternative operating system. Additionally increasingly Government organisations around the world are migrating to Ubuntu, yet UK business seems to happy to take the financial hit of a new Windows system.. However, if you fancy having a look at Ubuntu and saving money, get in touch with us. 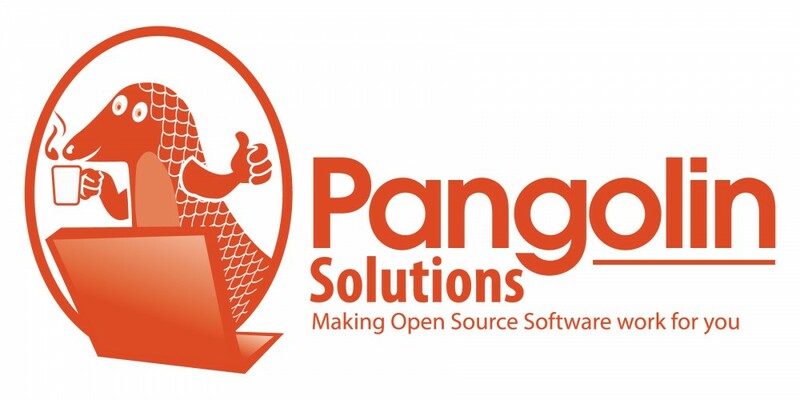 So who actually uses free and open source software? Whilst millions of people use free and open source packages such as Firefox, Chrome, OpenOffice and LibreOffice, the perception of free and open source operating systems, namely Linux is very different. In the UK there is a strongly held view that you have to be some sort of geek to use a Linux operating system. So who is using Linux instead of Windows or Apple? The simple answer is millions of people! There an estimated 22million Ubuntu users. Ubuntu is the official operating system of China, a few users there then! Indian companies make huge use of Linux and free and open source software. So countries that are keen to keep their overheads down and undercut the rest of the market, and they are saving a fortune on software. Ok but who closer to home? Well to start with Ubuntu is made by Canonical who are a London based company. Last year the French Gendarmerie moved from Microsoft to Ubuntu and OpenOffice, a move that saves them 2million euros a year. Earlier this year the German City of Munich was distributing free copies of Ubuntu to local residents, so that they had an alternative for when Windows XP support ends. Yesterday Germany’s upcoming coalition Government stated that it is committed to using open source software, rather than the existing “closed digital ecosystems”. The Andalusian Regional Government, Spain, wanted to improve access to IT in schools throughout the region and now has 220,000 Ubuntu-based workstations in more than 2,000 schools throughout the region. The UK Cabinet Office has published Open Source Options as part of its Open Source Procurement Toolkit, providing guidance for the public sector on Open Source Software. This covers areas such as operating systems, databases, content management, enterprise resource planning (ERP) and customer relationship management (CRM). So despite all these users, savings and success stories, very few UK companies are aware of the software or the savings. Why is this? I think mainly it is because we do not have the option of walking into a high street computer shop and buying a PC with Ubuntu on. Most of us like to try before we buy, and we don’t have the opportunity to experience Linux. Whereas in the US and China you can buy PCs with preloaded Ubuntu operating systems, and not have to pay for a Windows one. Let’s be honest, what do most of us use a computer for these days, I’m guessing like me its mainly, browsing the internet, sending emails (for those of us that still like a email client), and writing letters and spreadsheets. Certainly most business machines I look at mainly have installed, Internet Explorer, Outlook and Office Suite. Let’s be honest Office Suite isn’t cheap, it certainly isn’t free! If I pop down to PC World today Microsoft Office Home and Business 2013 would cost me £190.00, or you could try Office 365 Small Business for £10.10 per month (exc. VAT). So what can the world of free and open source software offer me instead? Well there are two main open source options, OpenOffice and LibreOffice. So what’s the difference? Well honestly not a lot, its almost a case of personal preference. However, I personally, prefer LibreOffice, this package has made significant improvements recently and the latest version is full of features. You may also have come across another office suite called Kingsoft. Kingsoft are Chinese software company who have around since the late 80s. Their office suite is very similar in appearance to Microsoft’s Office Suite. It isn’t free or open source, however at £49 for the professional suite, it is a lot cheaper than Microsoft.